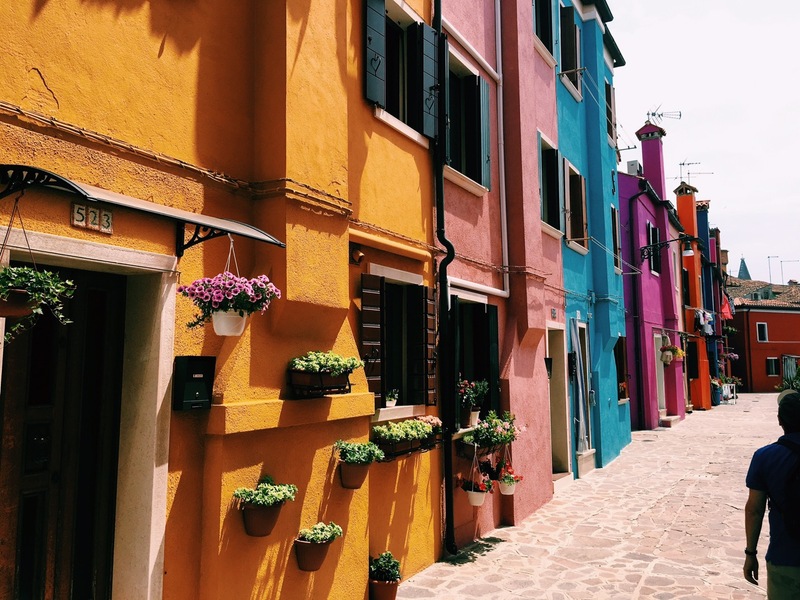 When I heard about the island of Burano it almost sounded too good to be true. Some people call it the most colorful island in the world and its easy to see why. 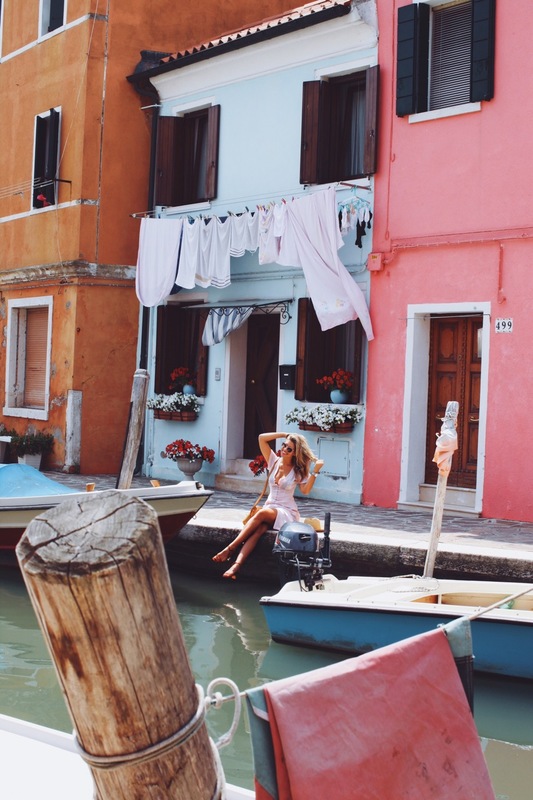 Every house or building on the island is painted in a vibrant color. The streets were so perfect and beautiful it felt surreal, almost like a movie set. 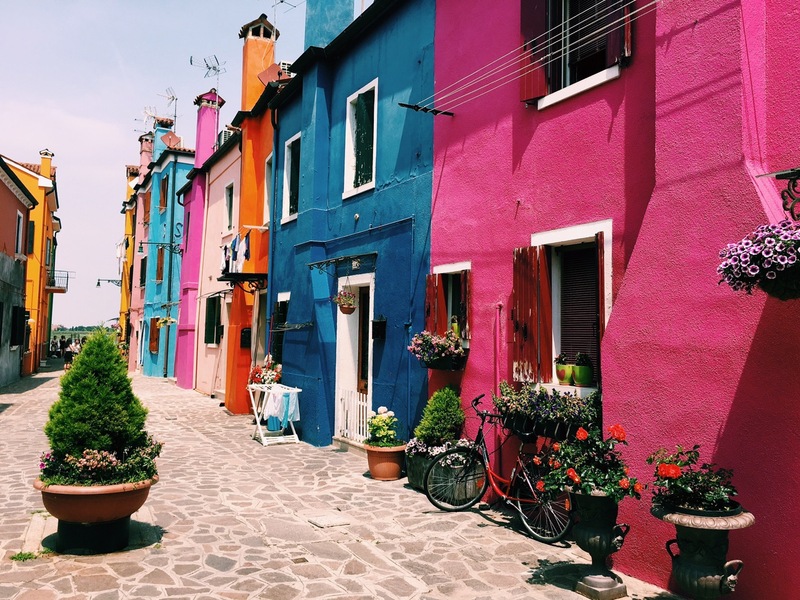 A funny little fact about the colorful houses is that in order to paint ones house the resident must apply with the government will then send over approval and a selection of colors that are available for their lot. I personally fell in love with the yellow house with blue shutters, so beautiful! 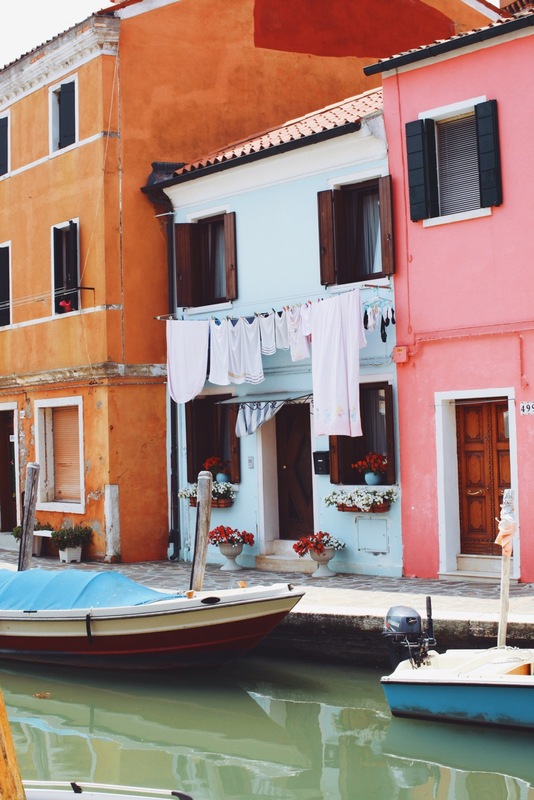 Burano is not only known for its colorful streets it is also famous for its traditional lace and embroidery which only adds to the beauty as the shops in the town are filled with beautiful lace table clothes, dresses and parasols. 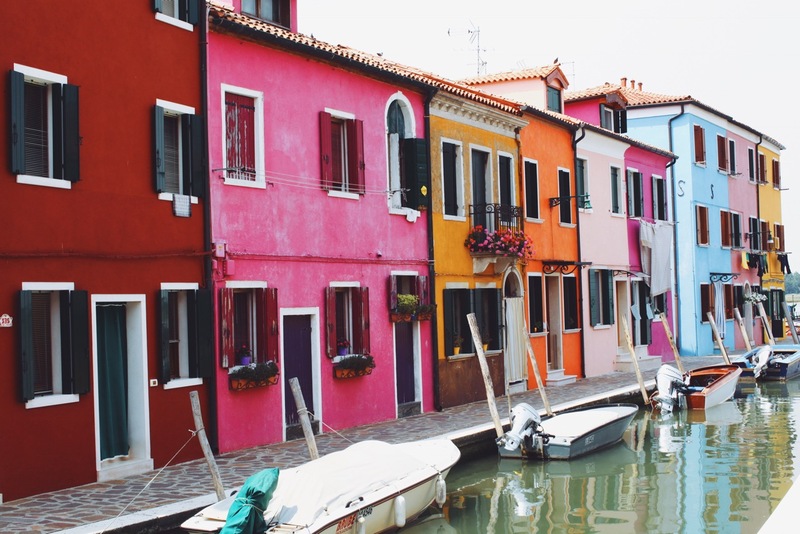 If you are visiting Venice it is definitely worth hopping on a ferry to see Burano. It is a 1.2 hour ferry ride and a lot less crowded than the busy streets of Piazza San Marco. I felt so lucky to visit this hidden gem and to share it with you all! beautiful dress and beautiful Murano! Such a lovely place! I just came back from two weeks in Italy, it was just to perfect. Btw, I was actually in Burano the same day as you, i walked by when you were taking some pictures 🙂 You looked stunning.